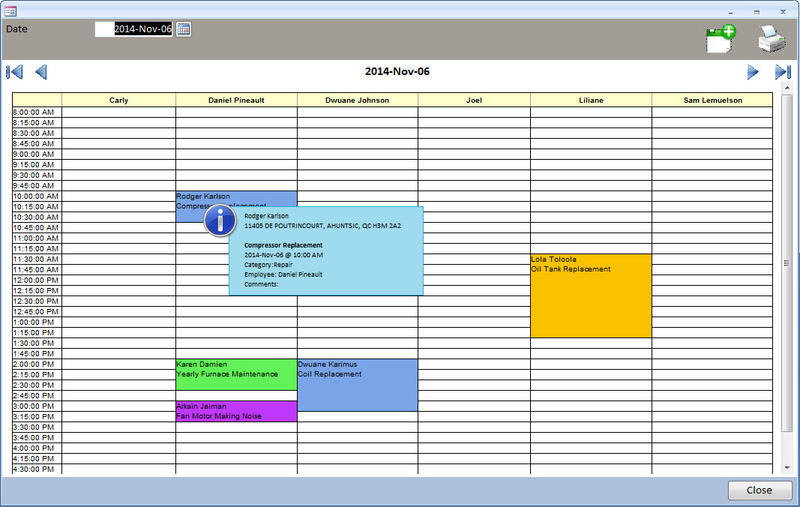 MS Access – Appointment Calendar / Daily Planner / Technician Scheduler – CARDA Consultants Inc. Looking for an MS Access Appointment Planning database that enables you to get a Daily and Weekly Access Calendar views (Outlook Calendar Style) for each employee/technician. 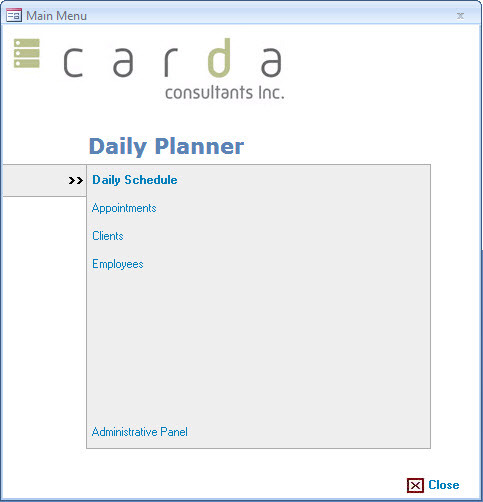 CARDA Consultants Inc’s MS Access Appointment Planner database enables easy entry of appointments and visualization on a color coded (user defined colors) calendar. Hover over any appointment to view a pop-up with more details regarding the appointment. 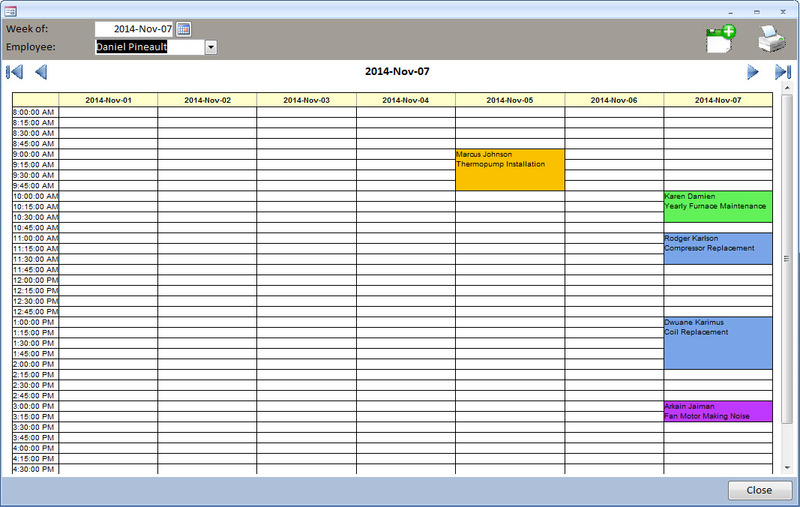 Click on any appointment to open a Appointment popup form to edit the details.